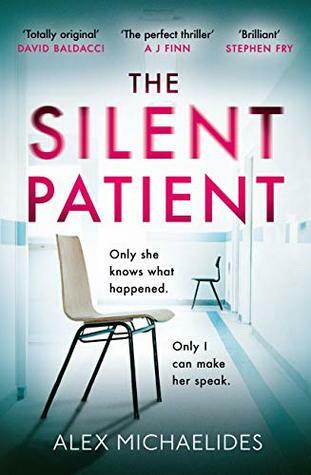 It all started out so well: The narrator, Theo Faber, is a psychotherapist who goes out of his way to help Alicia, the “Silent Patient”. Alicia has been put into a psychiatric hospital after her husband was murdered with her standing next to him, the weapon at her feet. She refuses to (or can’t) speak at all. Theo himself is damaged as well by an overbearing father who has always made him feel insufficient, worthless and a failure (cf. opening quotation). He feels like he’s pretty much the only person on earth who can help Alicia find her voice – metaphorically and literally – and so he sets out to help her. The setting I described above intrigued me – it sounded exciting and promised suspense and I strongly related to Theo with whom I felt I shared some “history”. I vividly remember a few situations (e. g. the restaurant in Amsterdam, C., where they “shot” me ;) ) with my wife of almost 20 years now that triggered similar feelings and reminded me of similar experiences. These “autobiographic connections” and the expectations they raised are, undoubtedly, part of why I feel so let-down by and disappointed in this book. This is quite obviously delusional – Theo simply confuses his picture of Kathy with the real person. Sure, this is certainly a literary device but crudely wielded and, thus, it annoyed me slightly in the beginning. (view spoiler)[There are quite a few characters as well who take quite some space in the book but never really get used: There’s Jean-Felix, a caricature of a gallery owner and Alicia’s friend, there’s her brother-in-law, the latter’s wife, Tanya (his assistant, how cliched is that...), Alicia’s cousin Paul and others who pretty much all have something to hide or to be embarrassed about but who only ever serve as a means to an end – to distract us, the reader, from the simple truth which you begin to sense early on and which leads to “the big twist” (hide spoiler)]. Some characters, like the hospital’s director, Diomedes, are pretty much caricatures of themselves, so shallowly are they depicted. On the other hand, Michaelides does get a few things right: Short, engaging chapters that keep you glued to the book (“just one more chapter and then I’ll sleep!”), inserting excerpts from Alicia’s diary helps as well and all in all, it’s still an interesting read – at least in the beginning. The middle parts of the book are rather slow and uneventful. Lots of stuff is going on but only few things happen that actually drive the story forward. Towards the end, things are being rushed and the story, after “the big twist”, deflates as quickly as a punctured balloon. Ultimately, this book has good ideas and an interesting premise but it feels sensationalist and simply can’t live up to the hype that’s been generated about it. Alex Michaelides is, first and foremost, a screen writer and it definitely shows in this book.